Our 96 hour online program consists of four parts: Part A, Part B, Course Project and Final Exam. The program is approved by the Kentucky Real Estate Commission (KREC). You have 1 year to complete the entire program (including the final exam). Part A, Part B and the Course Project is completed online. The Final Exam is required and can be taken at our office in Lexington or with our online proctoring service. The Final Exam is NOT the licensing exam. Once you complete and pass the final exam, KRI will provide you a certificate of completion allowing you to schedule the PSI licensing exam. Technical Support is available if needed for both Part A and Part B. An instructor is available for any assistance needed on course content questions. Before registering for the program, please read the FAQ's. Please Note: A criminal conviction may prevent an applicant from qualifying for licensure under KRS 324.045. Per Kentucky law, students are not allowed to complete more than 9 hours of Pre-Licensing coursework per day. It's the students responsibility to track their hours. Please contact KRI with any questions. *By registering for any of the courses below, you acknowledge and agree to the terms and conditions outlined in KRI's Policies and Procedures, as well as confirming you reviewed both the FAQ's and pre-licensing checklist. This portion of the program is 60 credit hours and covers general real estate principles and foundational concepts. This course covers Home Ownership Concepts, Agency, Brokerage, Listing Agreements, Buyer Representation, Real Estate Liens, Financing Practices, Lease Arrangements, Appraisals, Land Use Issues, Environmental Issues, Investments, ANSI, Law of Contracts and more topics associated with the practice of real estate. You will be enrolled in the course(s) within 1-2 business days from the date of purchase. You will receive an email with login information at the email address associated with your user account. Please check your spam folder if you don't receive the email within 3 business days.The textbook and study guide will be shipped via United Parcel Service (UPS) within 3-7 business days. Please note that the materials are only supplemental; you can start the online course as soon as you receive your enrollment email. Content Questions for your instructor? No worries, your welcome email provides the contact information. This portion of the program covers Kentucky specific license laws, regulations and statutes. This course covers Kentucky Real Estate Commission Rules, Ethics, Disciplinary Actions/Complaints, Disclosures, RESPA, Agency and Duties to Clients, Fair Housing, Contracts & Offers, Advertising & Marketing, Loans & Taxes and other topics associated with practicing real estate in Kentucky.This portion can also be used as a study guide for out of state licensees who need to pass the Kentucky portion of the licensing exam. ​You will be enrolled in the course(s) within 1-2 business days from the date of purchase. You will receive an email with login information at the email address associated with your user account. Please check your spam folder if you don't receive the email within 3 business days.You can start the online course as soon as you receive your enrollment email. The course project consists of two case studies for the buyer and the seller. You will need to understand which forms are to be completed on the selling side and which forms are to be completed on the buying side. Once you complete the forms, you will also need to complete an online quiz. All of the information needed to complete these tasks is contained in the case studies with a few quiz questions having been studied in the course. If you are a current student and need to complete the course project, please email kri@kyrealtors.com for further details. Once you have completed all of the above steps, you will need to email kri@kyrealtors.com or call 800.264.2185 to make arrangements to sit for the final exam. This is NOT the licensing exam. Note: After successfully completing all of the above items, you will receive your completion certificate and can then schedule your licensing exam with PSI. The pre-licensing program is divided into two parts: Part A and Part B. You do not have to complete Part A and Part B in order, however, both parts must be completed, along with the project, before attempting the comprehensive final exam (this is not the licensing exam). There are no additionals fees associated with our program, but you will be responsible for fees associated with the licensing process (background check fees, KY license exam, etc). You will have two separate accounts (login and password) for the program as Part A and Part B are hosted on different platforms. You have one year to complete the entire program upon initial registration into Part A and/or Part B. 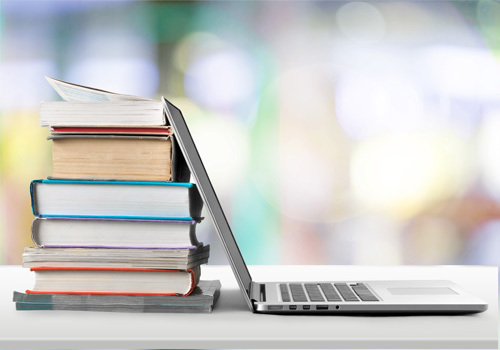 You may still have access to online course materials after a year has passed but that doesn't extend your time frame. By registering for our program, you agree to our terms and conditions. Please read through all the information carefully to familiarize yourself with policies including refunds and instructor contact. We take your success personally! "This course had me well prepared for my licensing exam. I passed on my first attempt. I am very satisfied with my experience and appreciate everything provided with the course. Now to put the selling pedal to the floor..."
"Easy experience taking the Real Estate classes and exam. Thanks for your hard work." "I took my real estate courses at KRI. I had a really hard time passing my course test but absolutely nailed my state test on the 1st try!! Thank you for being so supportive and encouraging!! I have been practicing real estate for the last week and it is awesome like a dream come true!!!!" "The experience I had with Kentucky Realtor Institute exceeded all my expectations! I've never taking an online course before so I was a little nervous about how well I would perform and retain the self taught material. However, after starting the course, it was presented in such a way that it was easy to understand and complete! Nicole and the staff at KAR were so helpful in any questions I had and helping me through the course. 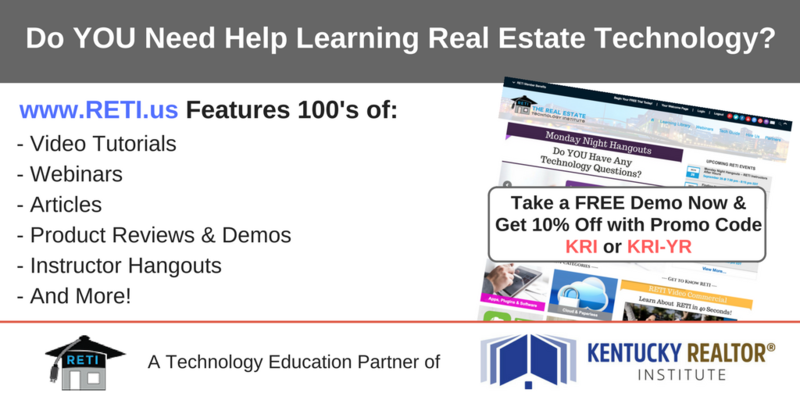 I wouldn't hesitate again to take an online course through them an would refer anyone that is interested in taking a real estate course to go with Kentucky Real Estate Institute!"